Are you searching for the best web design Alpharetta has to offer? Since 2010, we’ve been creating fast, responsive websites for local businesses in North Georgia and surrounding areas. The difference in our approach is that we take SEO very seriously. SEO or Search Engine Optimization is the process of optimizing your website for the Google search engine (or Bing and Yahoo). We want your website to rank highly for your industry specific terms. Having a strong foundation with the proper website is crucial. Don’t make the mistake of building a website and then calling a reputable SEO company afterwards; the results could be disastrous. Start with the right foundation in place and then consider partnering with us for ongoing SEO services to help you beat out the competition in your industry. 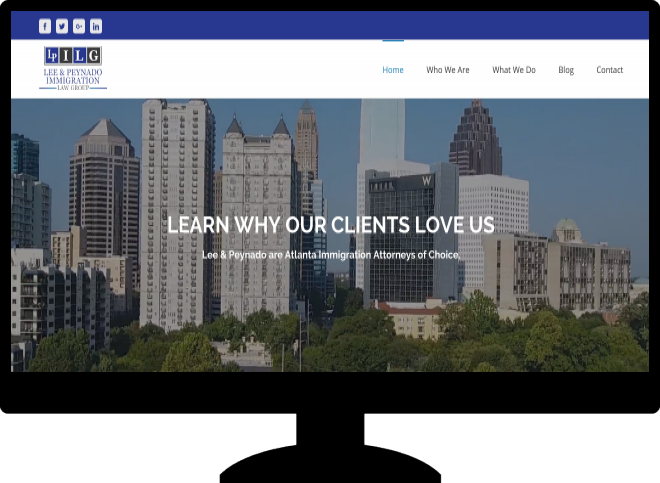 The Persist team designed a beautiful new website for my Alpharetta business. I couldn't be more happy with the results. The phone is ringing and business is booming. At PersistSEO, we realize that your small business needs to stand out. Online advertising is more competitive than ever and your website needs to shine. Do you take SEO into consideration and what platform are you planning to use? Will you map keywords and create META tags for our main pages and Home page? Do you have any recent web design projects to show us? Do you have any examples of sites that you’ve built that are ranking well in the local area? Lastly, do your research and determine the reputation of the company. At PersistSEO, we’re proud of our high client retention rate and solid reputation for all things web marketing. We’ve worked with local attorneys, roofers, therapists, electricians, and many more industries. Our typical customer has been around for 3 years or more and has a great reputation in the local area. Our expert web design team enjoys helping local Alpharetta businesses rank highly on Google with an aesthetically pleasing website. Call us today at (770) 580-3736 for more information and feel free to review some of our recent projects above. Do You Need a New Website for Your Alpharetta Business?